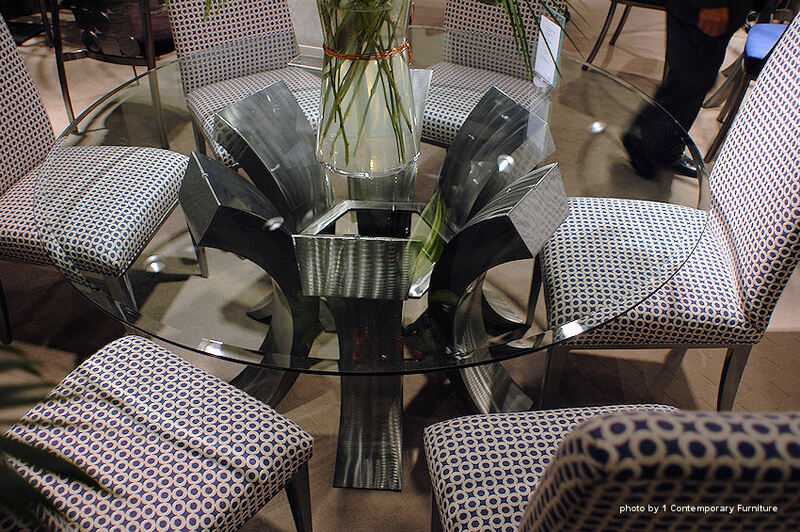 $ 495 - 54" round clear glass top | $ 550 - 60" round clear glass top | Other sizes and shapes available. Shown in Pewter Premium finish. 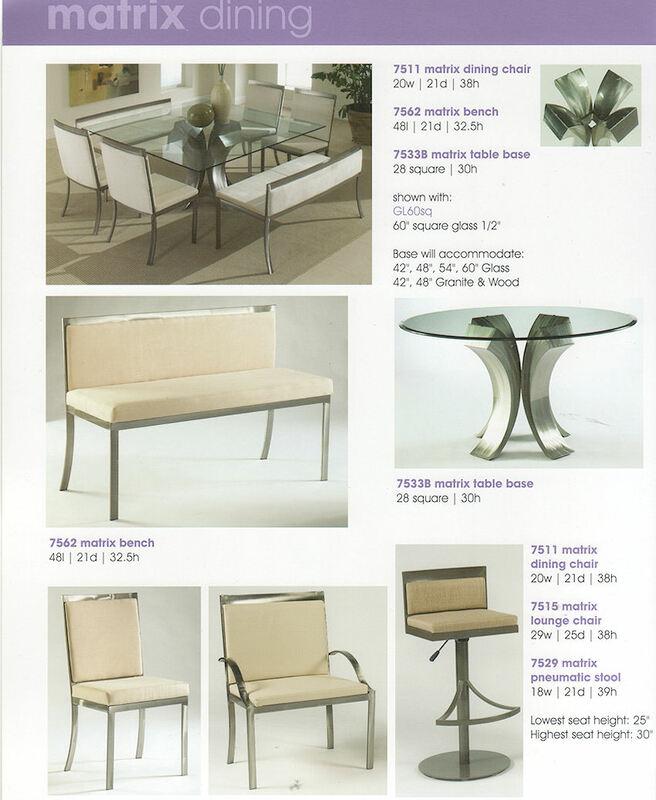 The table custom made in any finish. See color samples. 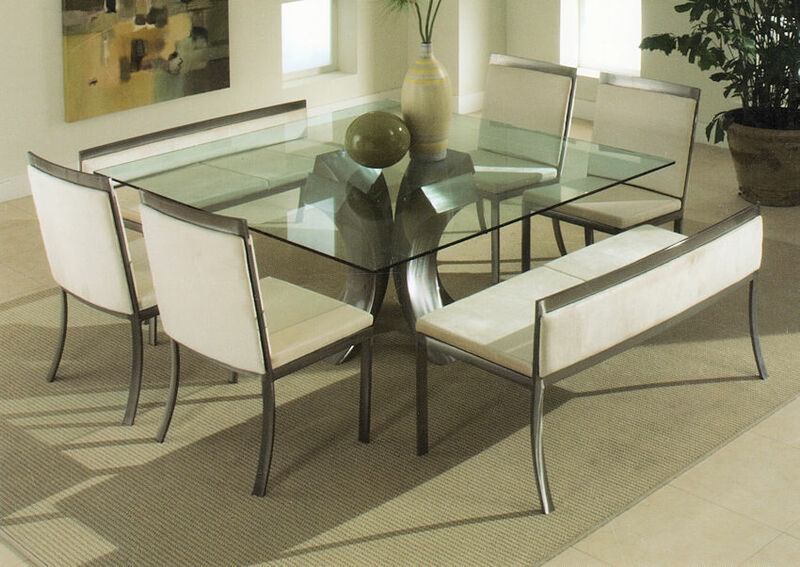 Matrix dining collection offers a solid steel table base that accomodates 42, 48, 54, and 60" glass round or square. $ 995 ea. - #7562 Matrix bench in Standard finish and micro-suede. $ 1,150 ea. - #7562 Matrix bench in Premium finish and micro-suede. The base is available in any finish. See color samples. And chair can be covered in fabric or leather. Shown in Pewter Premium finish. The table base custom made in any finish. See color samples.